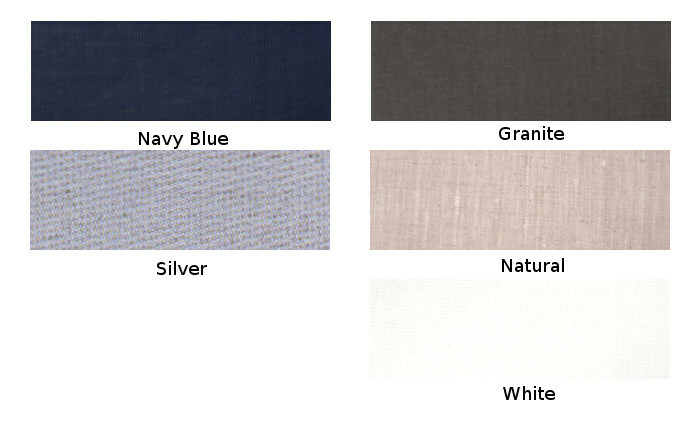 Alexandre Turpault Bastide Linen Bedding - Swatches may be available. The Bastide collection of bed linen is the perfect combination of rusticity and sophistication thanks to its pure white and natural linen. 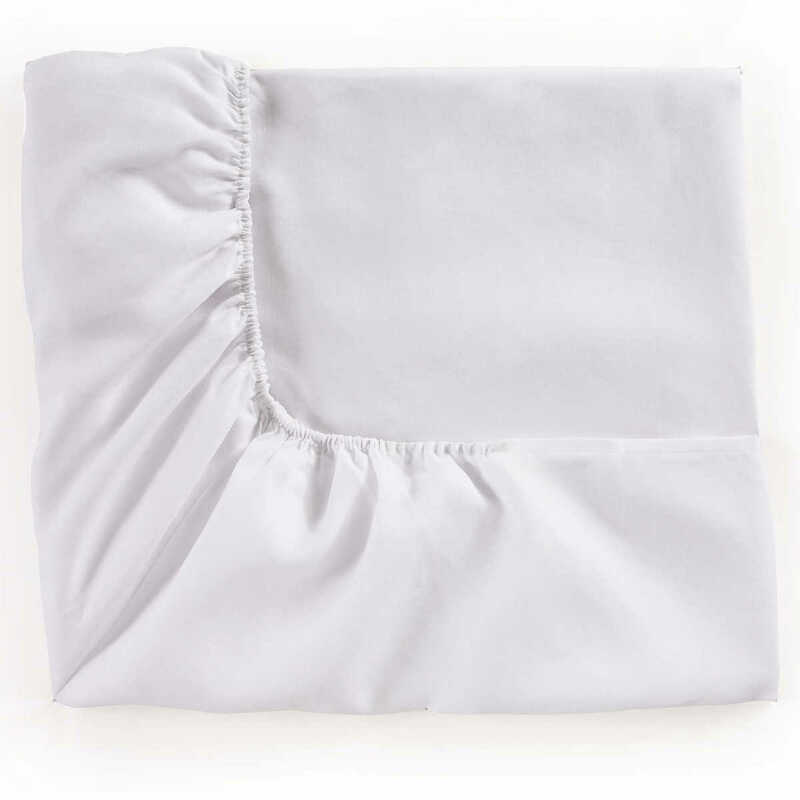 This set is adorned with double flanges finished with an elegant overlock and a two-tone applique pure linen ribbon on the pillowcases, the flat sheet and the duvet cover. 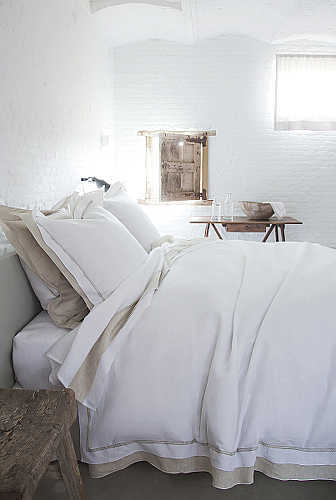 With this collection, Alexandre Turpault offers a timeless set that reinvents the codes of the country chic bed linen without compromising on the comfort thanks to the high quality of a linen grown, woven, and made in France. The Bastide duvet cover is made of a plain white linen fabric complemented by a 4“ contrasting double flange and framed with an applique decorative braided ribbon. 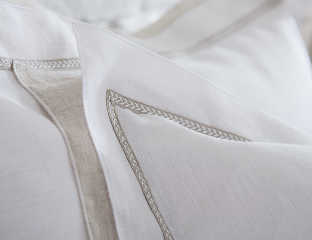 The back is made of a contrasting plain linen fabric. Duvet cover has double flange on all sides and the top of the duvet allows flat sheets to fold cleanly. The Bastide flat sheet is made of a plain white linen fabric complemented by a 4“ contrasting double flange and framed with an applique decorative braided ribbon. 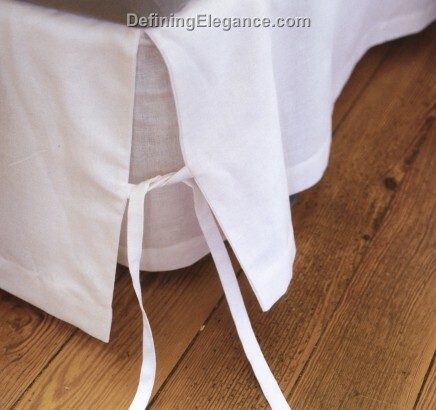 Pillow Sham Bastide is made of a plain white linen fabric complemented by a 2.75“ contrasting double flange and framed with an applique decorative braided ribbon. The back is made of a contrasting plain linen fabric. Alexandre Turpault products are Special Order items and therefore, not eligible for returns or exchanges. Requires $750.00 minimum order. A $50.00 surcharge will be added to all under minimum orders. Cancellation of orders can only be accepted if done prior to production. A 60% deposit is required and will be processed with 1-2 days of submitting the order. The balance is billed when the order ships. Ships in approximately 4 weeks. To insure that you will be happy with your purchase, we highly recommend taking advantage of our fully refundable sample program prior to placing an order. Sold as a pair. Coordinated fabric.